How much do you feel comfortable paying? If we were not aware of the dangers of buying more house than you could afford prior to 2007, we are certainly painfully aware of it now. So before you begin to seriously shop for a home, take a brutally hard look at your finances- your income, debts, and expenses. First, use an affordability calculator to determine what you might be able to afford. Then, include closing costs. Although closing costs can be a point for negotiation, it’s important to understand what closing costs are and how much they might be. The general rule of thumb in Dayton Ohio is 3% for the first $100,000. Don’t forget the government. They are going to take their share in property taxes- typically up to 2% of assessed value. Homeowner’s insurance will run $50-100.00 per month. Any HOA fees? Expect about 0.1% of sales price for monthly Home Owner’s Association fees. That’s paying everyone else. Don’t forget about the home itself. Annual upkeep to keep your property in good repair might be 1-3% of the sales price. Are you buying a home in disrepair? You’ve seen the Flip-It TV shows, right? Prepare yourself for more expenses and longer time than you thought. So. How much Ramen noodle can one person eat? Take all the numbers you’ve just crunched and consider how you want to live. How much travel do you do per year? Like to stay home and host lavish parties? Have kids heading off to college? If you can be honest with yourself about your lifestyle, then your home can be a place of comfort and contentment for many years. A fixed-rate mortgage is preferable to an adjustable rate. 15- and 30-year fixed-rate mortgages are the language of common sense. Safer than an adjustable for most of us and only movie stars get interest only loans. A great option if you have small down payment or low credit score. FHA (Federal Housing Administration) loans take time not money. Great rates and terms- a VA loan is definitely worth looking into for veterans and surviving spouses. Ouch. I know that one’s gonna hurt, but, if you can put 20% down, you can skip the private mortgage insurance (PMI). You’ll save in the long run, and believe or not, this is often how your grandparents bought a home. Better rates and better prices go to loan limits that the government prefers. Ultimately though, the first step to the home buying process is to talk directly to a lender.  Find a lender in Dayton Ohio who will answer your questions in language you can understand, or contact me, Theresa Lussier, THE HOME GROUP REALTY, 937-478-7781, and I’ll send you the names of lenders who will answer your questions, and educate you in the process.